Apocalypse WOW', featuring artist, Dan Baldwin's, latest collection of new paintings, unique hand painted ceramics and limited edition prints will be running at FORSTER, the new gallery founded by gallerist, Eleanor Forster, on Fashion Street in East London. Baldwin's work has a sinister yet beautiful feel to it and deals with topics such as Vanitas, politics, religion and innocence. He incorporates graphic symbolism with pop elements to illustrate the fragile line between good versus evil. 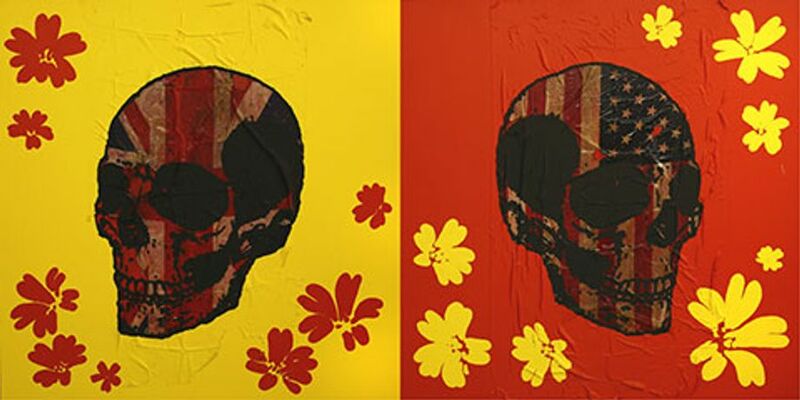 In throwing together opposing elements, he creates a poetic, chaotic and conflicting juxtaposition of life and death. His use of colour, in particular the candy pastel shades, is inspired from the Mexican death celebrations, 'El dia de los Muertos'.